I thankfully came across Shugo Tokumaru this week. 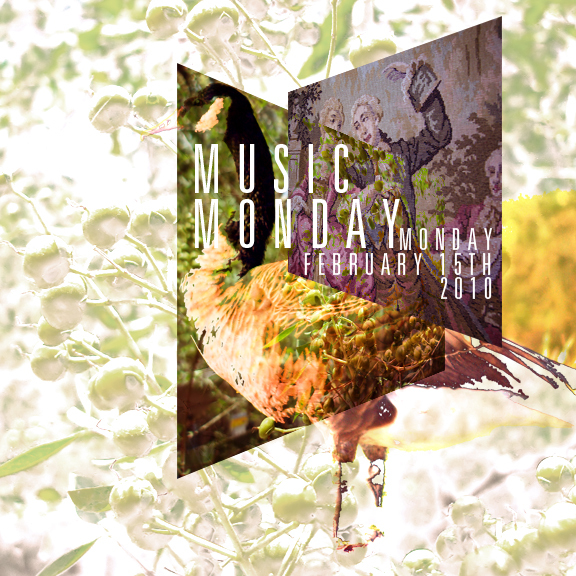 He’s a Japanese artist combining folk, pop, electronic, and irresistibly. I read about his new album Port Entropy and listened to a few songs on his myspace and realized I needed not only that album, but also his previous Exit. Sometimes it’s hard for me to have interest in music from other countries, but I seriously had no problem getting into this, and I don’t think you will either. 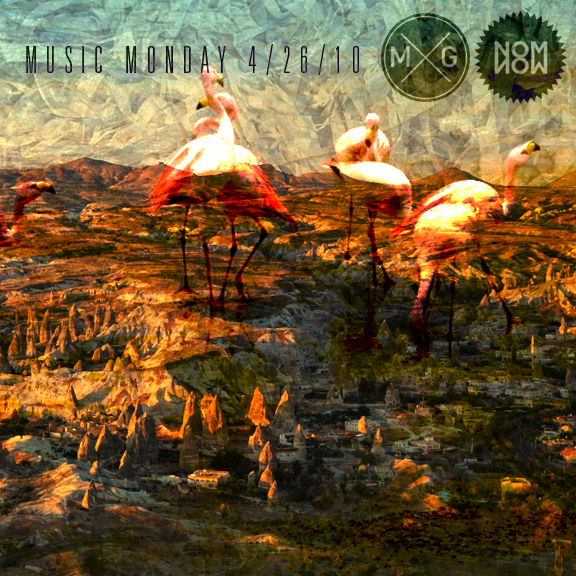 For fans of Jonsi’s funky stuff, this is calling your name. The New Pornographers new album Together was this week’s unexpected gift. This is some of my favorite stuff I’ve heard from them, and for anyone (if there is anyone) who’s doubting their ability to put out good music, this should squash that. This is another one I recommend checking out right away. Something tells me this will be a very summer album. REAL ESTATE. I’ve been feeling these guys so much over the past few weeks, and just last Sunday I finally got to catch them live at The Barbary in Philly. Seeing a band who you’ve never seen live before lets you hear their recordings differently after that. It’s one of my favorite things about music. It literally transforms songs almost to the point of you hearing them for the first time again. Anyway, after I saw them, I needed to re-hear that album again over and over again. I started getting into Bill Callahan last week, and this past week I just kept on loving it. I got Rough Travel For A Rare Thing which is his latest, a live album. I’m always really hesitant about live albums. I tend to feel like it’s not the real thing. But I fortunately keep learning that it’s just a different thing. This album is one for the books, and if you’re trying to feed your Callahan fix, hit this up now. I had such a Secret Mountains day yesterday. I feel like I say this every time I talk about them to anyone, but I’m just so proud of them. They are getting all sorts of press and becoming one of Baltimore’s brightest shining stars. If you’re not already listening to these guys I need you to fix that now. 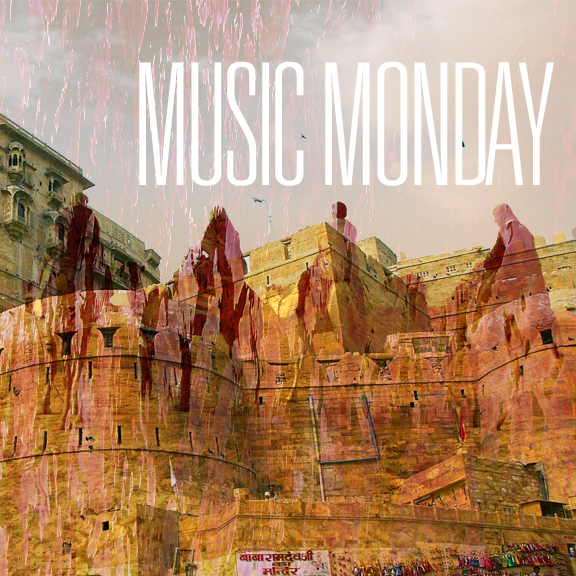 They have two FREE recordings online, their Kaddish EP, and a mobtown studios session. Start listening now before they blow up and you come in late on the game, like an idiot. Simon & Garfunkel. So I went to Kirby’s friend’s birthday get together this Saturday night at a bar at Seaside. There was a lot of people who I only kind of knew, and much more who I didn’t know at all. While Kirby was making rounds, I watched this old TV above the bar that was on mute with subtitles playing the YES channel, which yes, that’s a Yankees channel. BUT, it had an interview with Paul Simon on it, and I was just so into it. He talked about how he met Art in the 4th grade. Art got up to sing and Paul looked up and was wowed. The interviewer asked him if he thought it was because he had a beautiful voice, and he said no, it was because that was the first time he realized that he wanted to do that. After that, I needed to listen to Simon & Garfunkel in the worst way. Still experiencing some Broken Social Scene fever due to their new album which will be another summer smash. I finally got the new Black Churches EP, Black Gold which features some of their finest written and produced songs yet. The songs are just so slick and smooth, but dark and rough at the same time. Another group of guys who I just love. Check out the shirt I made for them just a few posts down. Broken Social Scene was laying it on thick this week in part of their new album Friendship Rock Record. Now I can’t say I’m the biggest listener of BSS, partially because I forget about them a lot. I feel like I’m hearing mixed reactions to this record, but I think it’s actually really strong and I’ve been giving it all the listens it deserves. If you liked them before, this is another little gift. If you haven’t listened….where have you been? I was having such a Bob Dylan week. And I can tell you why! I’ve been blowing through Mad Men this past week, and at the end of one episode (which I wish I could remember more exactly) it ends with Don sitting on the stairs and “Don’t Think Twice It’s Alright” playing the show out. It was such a perfect scene that reminded me how much I love that song. I listened to The Freewheelin’ Bob Dylan a few times in a row right after that. I had my first experience (aside from a few Smog songs) with Bill Callahan. And now I’m a believer. His baritone voice can go toe to toe with Josh Dean anyday. A compliment to both. Too Many Birds is one of the best songs I’ve heard recently. I was part of a time warp video for a little bit as I listened to Clap Your Hands Say Yeah this week. I loved their self titled in 2005, didn’t care for their follow up in 2007, and feel pretty much the same way about both in 2010. Their self titled also still reminds me of driving to Kirby’s house when I first started dating her. Apparently this band isn’t doing much these days, but if they do nothing else again, that first record will always be something I’ll go back to at some point or another. Paul Simon is a king. And his self-titled debut album is one of the finest examples of a group of songs I can think of. Check that out if you don’t have it already. Nick Drake can put me at ease on the tensest of days. Bryter Layter into Pink Moon is also one of the strongest succession of albums I can think of. 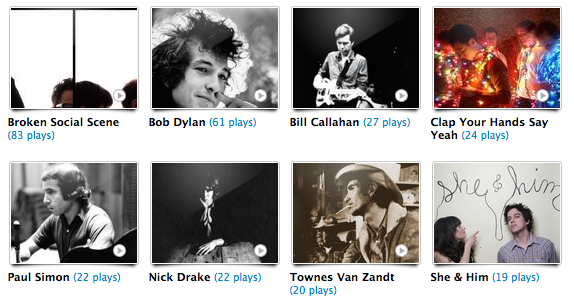 Townes Van Zandt popped up this week because I had a hankering for Flyin’ Shoes. Speaking of, that’s a great album to start on for those who know nothing of his and want to get into it. He’s probably the most underrated and under appreciated folk singer I can think of. Let’s talk about She & Him for a minute. Right before Volume Two came out I started to realize that She & Him is bad music in a sheep’s costume. You may be in disagreement because we are told that Zooey Deschanel can do no wrong. But the truth of the matter is that she shouldn’t be doing what she’s doing. She’s kind of inserted herself into everyone’s heart with an image of herself that she created in order to do so. And I’m not buying it anymore. She’s not even that good looking. It’s all in how she’s styling herself. Ayway M. Ward is leagues better alone than he is with her on any account. I agree with my friend Jeff who said that I hope I never see a Volume Three. I was kicking back to The Kinks this week. In particular Muswell Hillbillies, which I feel it’s a very under-appreciated album. I went through some of the other classics like Arthur and Lola versus Powerman, which are both just so so good. King Tuff became a new obsession this week after finally downloading the album. I had first heard them in Ian’s car back in the summer, and thought they were a band from a time long ago. They are a great blend of old and new, where even though they sound like they could be straight out of 1969, they also sound like something completely new and fresh. I would absolutely love to see these guys live. Jeff said he’s looking for a tour with The Strange Boys, and I would have to say, I’m looking for the same. I was waiting and waiting to hear the new Jónsi album, and this week, I finally got the chance. While the album is no doubt awesome, it’s still a little closer to Sigur Rós then I imagined it would be. I never understand why artists who make a solo album, wind up making an album that sounds like their band. I mean, that being the case, is not a bad thing in this situation, and I recommend listening to this…now. The Morning Bends have a new album called Big Echo and it’s awesome. I was anticipating this album for a bit now, and I’m very pleased with it. Certainly their best to date. The lead-off track Excuses is a song too good for it’s own good. This band is pretty young, and I’m interested to see where they’ll go. Megafaun had a Daytrotter session come out this past week, and that put me into a whirlwind of beards, harmonies, and awesomeness. In an effort to make your week easier, I’m all but begging you to go download it now. The Nerves are a band that James suggested I listen to, they only ever recorded one 4 song EP, which is all songs just under or just over 2 minutes, which added up to me breezing through it multiple times. If your trying to hear a song Hanging On The Telephone is so good. I heard about Suckers in an interview I read with Local Natives, and they were a band that one of them was listening to. So, I figured I’d check them out. They also only have a 4 song EP at the moment, but I am seriously digging it, and can’t wait for a full length. Their song Easy Chairs is easily the one, so get busy and check that out. I heard about The Bitters because they were featured on Gorilla Vs Bear as something that the staff was listening to, so I figured I’d give it a try. Unfortunately I more or less hated it. It is too noisy, too sloppy, and too blehhhh. There’s not much redeeming this group….even their album cover for East General is just gross. I didn’t care for it, but who knows, you might. 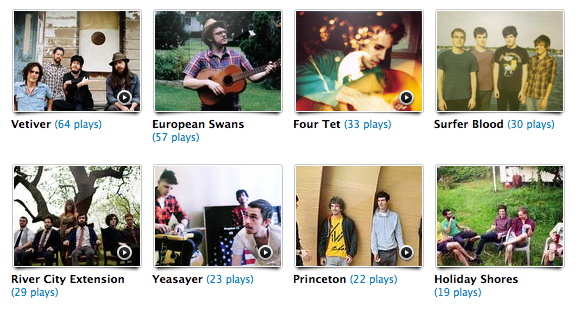 The Avett Brothers have finally made a significant dent in my music listening again. It has been a while, but it finally felt right again, and I went through most of their albums and I was loving it. I guess however, the most significant part of this (at least for me) is that they have surpassed The Beatles as my number one listened to artist of all time, one last.fm. I’m sure the two will teeter back and forth for a while, but The Avetts are on top! I think you all know I love this band, and they are probably my favorite of all time, so this one is a strong recommend. Next is Sigur Rós. They probably aren’t new to any of you, but I just got so excited thinking about Jónsi’s new album, that I needed to listen to this to wet my whistle for when that comes out. I mean, just watch this. Gorillaz new album Plastic Beach is certainly the source of these plays…and in fact any plays regarding Gorillaz. I never really listened to them aside from anything that was on TV or the radio, and I was interested enough to give this a shot. To be honest, I really didn’t mind it, and some stuff was particularly good. I have to say, I enjoy the songs that aren’t featuring anyone better than the ones that are, but there are some stand out parts, Mos Def’s songs for sure, that I’d say make this album at least worth a few listens. Also, the more chances I gave it the more I got into it. Fool’s Gold I stumbled onto by using the last.fm radio player, and I was glad to see the thing actually played me something I’d never heard, and liked. These guys are in the style of an afro-beat band similar to something like Rubblebucket, but with a zest…the zest being the singing is done in Hebrew. It makes me want to put on my Jim Duncan jersey and daaaaaaance. To start, check out this video. Nurses is another band that came onto the last.fm radio and I remembered I had seen a video of them playing a song I really liked. So I got a hold of the album, and I still really really love the song I had originally heard, which is called Technicolor, but I don’t really like much else of the album. There’s one or two other decent songs, but the rest is just really not that good. However, I will say that Technicolor is worth your ears. And finally, Discovery. I had heard a Ra Ra Riot song that I knew I knew, but didn’t know where from. Well, it turns out that it was Discovery who was doing more a less a cover of on their LP. That makes sense since Discovery is one part Ra Ra Riot, and one part Vampire Weekend, two bands I don’t really care for that somehow equals one band I’m moderately interested in. 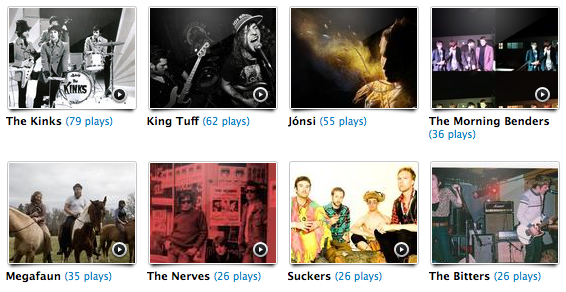 So that’s how this week panned out, as always, check me out and last.fm. 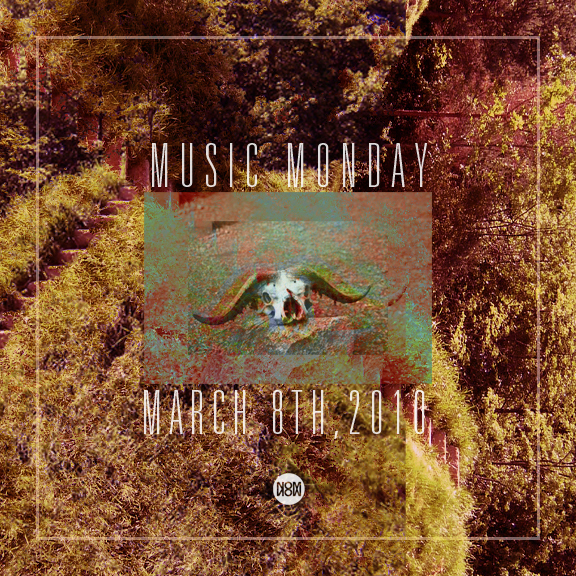 ﻿I got my ears on Frightened Rabbit‘s The Winter Of Mixed Drinks and had a field day with it. I really wound up liking The Midnight Organ Fight and in turn had high hopes for this new record. I read that they were being conscious about clearly making this a studio album, and taking advantage of what that could offer, and I think that shows through. The production on it is great and the songs are just simply good songs. Definitely check this one out. The Strange Boys also released a new record with Be Brave. They are sloppy, they are raw, and they are fun. His voice is so unique that for me it’s hard not to like, even it’s only because you haven’t heard anything like it. So glad I’m getting to talk about Secret Mountains. I’ve been chipping away at their awesome EP Kaddish since the summer, and pretty much since then have been looking for more tunes to satisfy my interests. Well, I’ve finally got some more ammo to work with. As they seem to keep on doing, they are cementing themselves as Baltimore’s most promising up and comers. However it won’t be long before they’ve outgrown that title. This past week they recorded a microshow at Mobtown Studios. SO good. I almost have to insist you head over and download the session, FREE. We’re talking about a Smokey Robinson cover of “I Second That Emotion”. 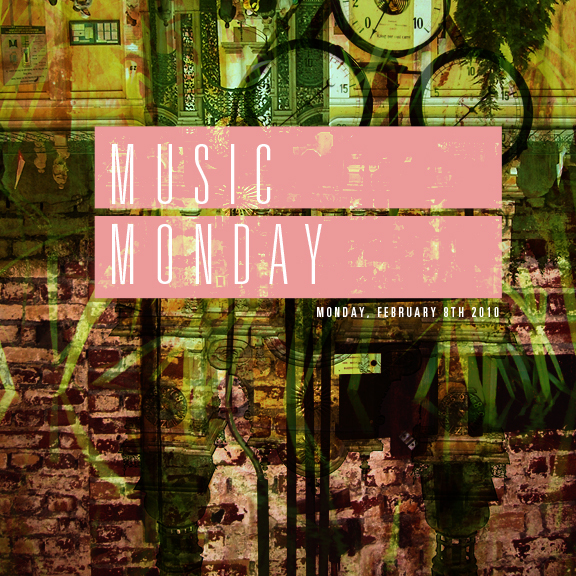 Yeah, do yourself a favor this week, and let this be your soundtrack. Jeff is a great friend of mine and I’m so happy for him that this is going in great directions. If you’re in Baltimore at all, be sure to check them out. They’re playing at the Ottobar on the 12th with Hop Along. Decent, Decent. The Beach Boys. So nice. I really think everyone should listen to The Beach Boys. It’s so much fun, and there’s so much to enjoy. If you don’t know where to start, Endless Summer is a great compilation of their best and brightest. Also, I got Love You on vinyl this week, mainly because I was loving the cover, but it proved to have some nice jams on it as well. I got to see Algernon Cadwallader this week at a Haiti benefit show they played at Rowan University. Which got me back into their albums a few times through. I know I’ve said this before, but Algernon is doing Kinsella better than the Kinsellas are. It’s pretty impossible to not have a good time while listening to these guys, and even harder while watching them. If you have the chance to see them, just give it a shot, especially if you can catch them in Philly. Akron/Family is a great band who I haven’t had a chance to talk about since I’ve been doing these things, but I had a few moments this week where they were hitting the spot so well. I was listening to their self titled a bit and really appreciating some of the great moments on there especially the three song span of I’ll Be On The Water into Running, Returning into Afford. That’s like you’re three best batters up with the no outs and the bases loaded. For anyone completely unfamiliar, go ahead and watch any video they’ve got on YouTube, and I guarantee you’ll fall in love with the stuff they’re doing live. 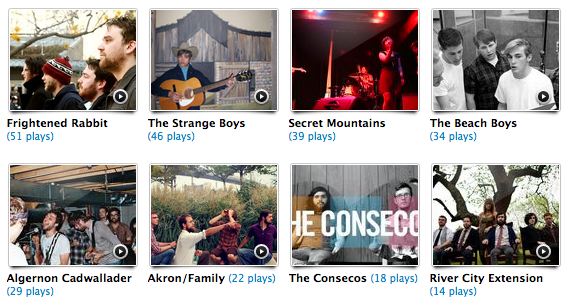 The Consecos is my band, which is a bit embarassing, but hey, I was listening. It’s a two piece band I have with Biff. At this point in my life, I can’t commit to anything more serious than this, but I still love playing live music, and this is feeding that desire because it happens when it can, and there’s absolutely no expectations. Except for crowd surfing. We expect that you do that. River City Extension. Have I shot this one dead yet? Listen to them! Honestly one of my favorite bands ever. The live show is amazing, the record is amazing, the people in the band are amazing… I can’t stress this enough. You all know I’m a huge advocate for these guys and I hope to bring you all over to their side with me. 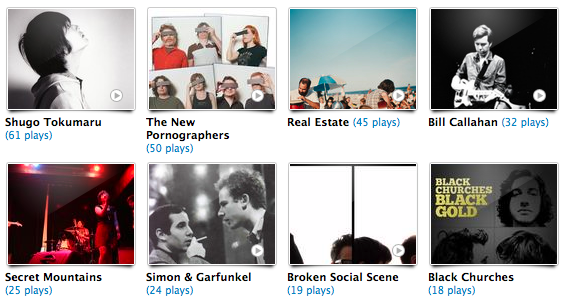 You know the drill, let’s get groovy on last.fm, add me and we can monitor each other’s weekly mp3 intake. Sound good? Local Natives took over the past few days with force! I checked these guys out after hearing a few more things about them, and they have quickly become one of my new favorites. I haven’t been this into a new band in years. I highly recommend listening to these guys, and I anticipate them gaining a lot of attention in the next while. I have to say, I sometimes forget about Dr. Dog, but I was just reading about their new album due in April (I think?) and it got me excited, so I went back and listened to Fate, which is such a great record, and then went back and listened to some older stuff which I hadn’t had. They’ve got that unique psych-rock sound without it being annoying or contrived. I was turned onto the The Morning Benders after watching this video. They’ve got a new LP coming out, so I stocked up on past releases to hold me until them. I’m definitely anticipating what that’s got to offer. Owen Pallett ditched the Final Fantasy moniker (for legal reasons I assume) and put out his new batch of cuts Heartland. The cover for this album is another great one, and I obviously wouldn’t be talking about it if the music wasn’t just as good. He’s got the violin act down pat. Toro y Moi is more new music to me. I had heard the name, and finally just checked it out. 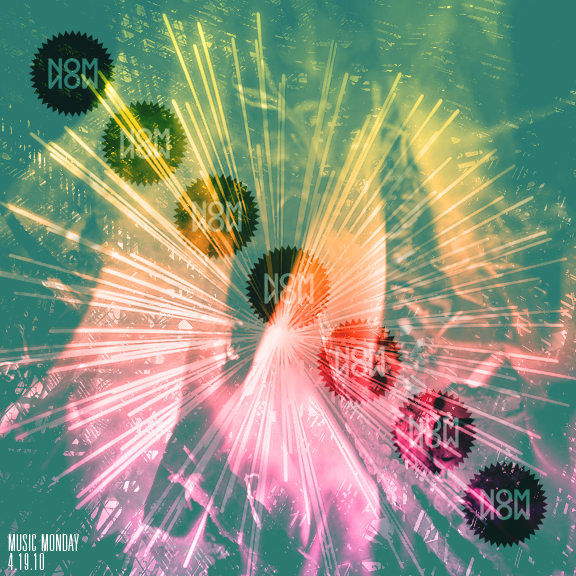 It’s in the style of bands like Four Tet and Tycho, but I feel like this is just a bit edgier than acts like those. And the guy went to school for design, so you know I’m interested. 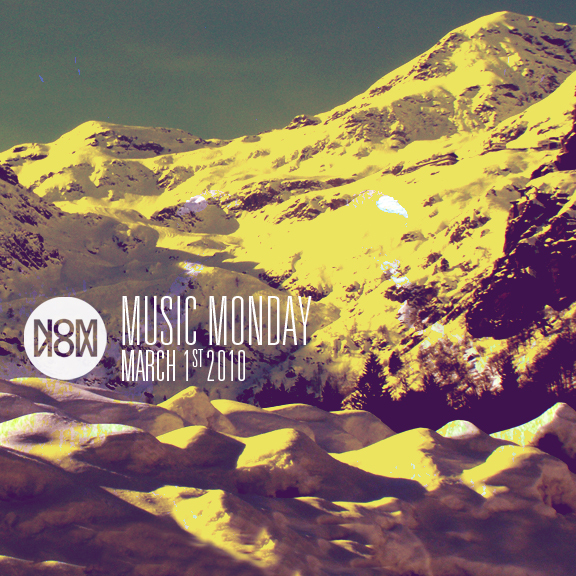 Volcano Choir hit the right note with me this week, and I was loving it. Put this on while driving through some snowy scapes, and enjoy the ride. CAKE is such a bizarre band. I only started listening to them this summer once I knew I was going to be playing with them at Art Scape, and it opened a world of unknown. CAKE garnered some success on a few songs, but they are so much more than what I think the general public recognizes them as. If you don’t already, try to give them a listen, I think you’ll be surprised with the songs you’ve never heard. And of course I’ve talked about Beach House before, but they caught a few more listens this week because of their new record Teen Dream which I think is their strongest yet. 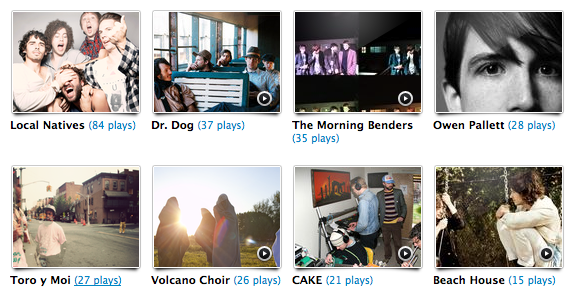 Get on over to last.fm and check out what I’m listening to at any point, or if you’ve got an account, we can be friends. 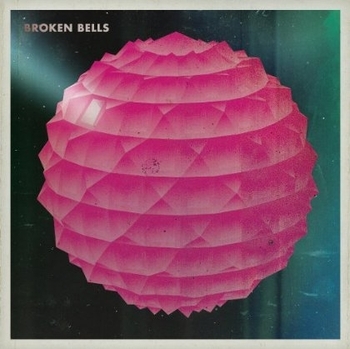 This week was all about Broken Bells. Granted, I think I will forever be interested in anything Dangermouse, or in this case, Brian Burton, is a part of, but this is really one of the best yet. He’s paired up with James Mercer of The Shins. I’d have to say this is one of the better new things I’ve heard recently, and the artwork for the album is very awesome. 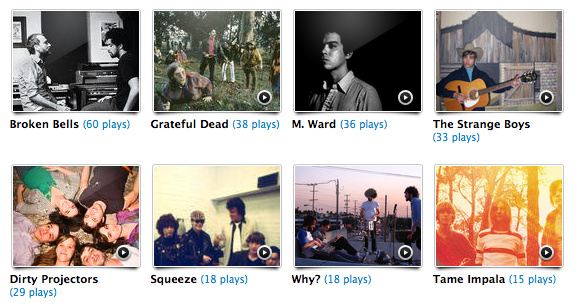 Grateful Dead was my second most listened to artist this week, something I’d never expected to happen. I could never get into them, and found them very corny, but Ian told me that’s because I never listened to Workingman’s Dead. So once I did, I moved on to Live/Dead, and then just this past week American Beauty. I’m far from a dead head, but I’m not at all opposed to getting down to them. For a while I only had M.Ward’s Post War on my computer, which is by the way is very good, but I downloaded Transfiguration Of Vincent, which I hadn’t listened to since 2005, and I was enjoying that. He’s got such a distinct voice. The Strange Boys are a band I caught wind of on Jeff’s blog. They are sloppy and fun and sound like a couple of guys who you’d like to see play in a crowded house show. Actually, I’d like to see that happen in a big way. Dirty Projectors I’m sure you all know and love. I can almost always turn to them when I’m unsure of what I should be listening to. Make it a priority to see this band live. Squeeze falls in next. Almost everyone loves them because almost everyone loves Tempted but I was determined to know more about them that. So I got Singles 45’s And Under because that’s what my Uncle Tim had when I was younger, and that was what I first knew about Squeeze. Some of their music still holds up, and some of it…well, you know. I seem to always underestimate Why? Which is a shame to end all shames. But man, Alopecia is one of the best albums, like ever. It has so much to offer. Yoni has got so many great ways of arranging his words, and the way he half speaks his lyrics yet still the melodies are prominent, and good. If you walk away with this with one album, Alopecia should probably be it. And finally I rounded it off with Tame Impala, a few dudes from Australia. Certainly psychedelic, they sound like the 60’s came to visit and dropped them off as a gift. I can’t help but hear the yelps of John Lennon popping through the vocals. Listen for a wild time. Vetiver rightfully took my number one space this week as they have been doing recently. I wasn’t always as into them as I am now, and I don’t even have a good reason to back that up. Ian told me “Tight Knit” would have been on his top albums of 2009 list had he made one, and so I checked it out and it put me into a Vetiver whirlwind hearing them like I never have before. Speaking of Ian, European Swans, his musical moniker, comes in at number two due to the leaked version of “Demon Line Up” I received. So good! I’ve been waiting for it for a long time, and it’s just truly sweet. The album cover is also amazing, and I’ll try to get it on here soon. I revisited Four Tet, which I hadn’t since 4 years ago. 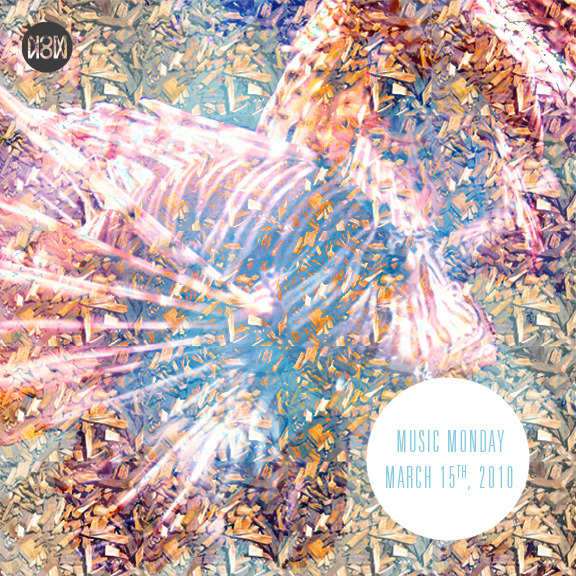 His new album is in the style of Tycho, with a bit more dance in it, so if you’re into getting stuff done, listening to this would be a good idea. Surfer Blood is some new jams I’ve been feeling. I heard Bryce from Chalk Talk recommend this to Biff, and I swooped in and listened for myself. They are fun beachy music similar to The Drums. River City Extension. Man so good. I know I talk about them all the time, but I finally got a hold of the final final final tracks for The Unmistakable Man, and it’s just some of the best stuff ever. I got to design their whole album which I am soooo pumped to have my name attached to this album. I’ll show that work soon. Yeasayer’s new album Odd Blood is awesome. I liked All Hour Cymbals but it had some filler…this is all good. And Ambling Alps is such a good song, and the video is amazing. Please go watch it. Princeton is very fun, and I’ve been jamming to Cocoon all this week. And finally Holiday Shores makes it back again. Really good stuff from them. Plus I don’t know if I said this last time or not, but the cover is pretty awesome. Which makes any album that much more listenable. 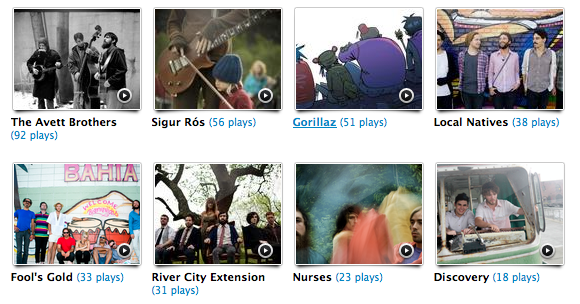 Again, feel free (to feel free) and add me on last.fm.